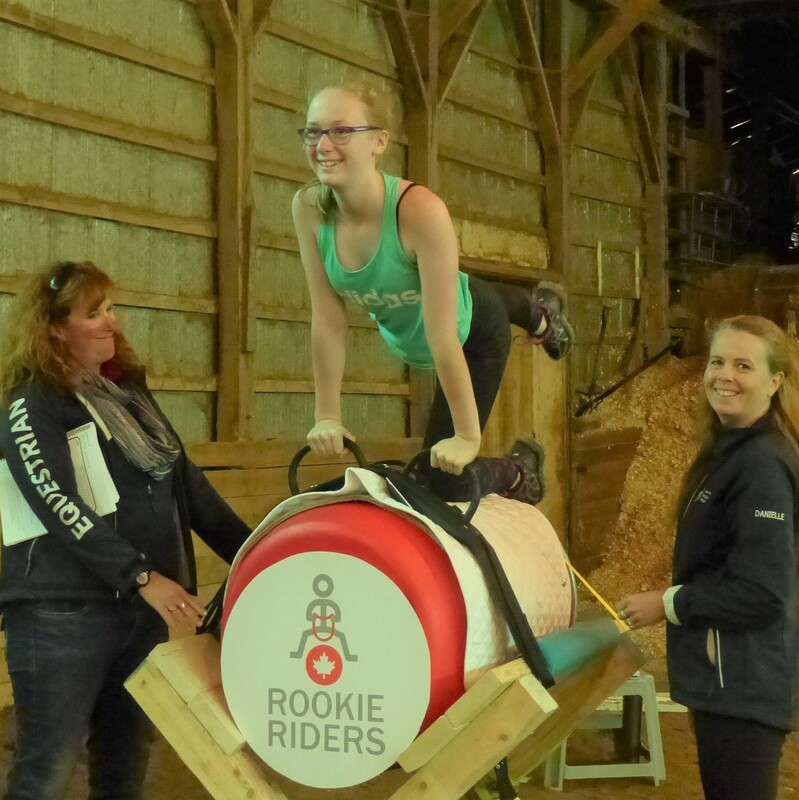 What is the Rookie Riders program? 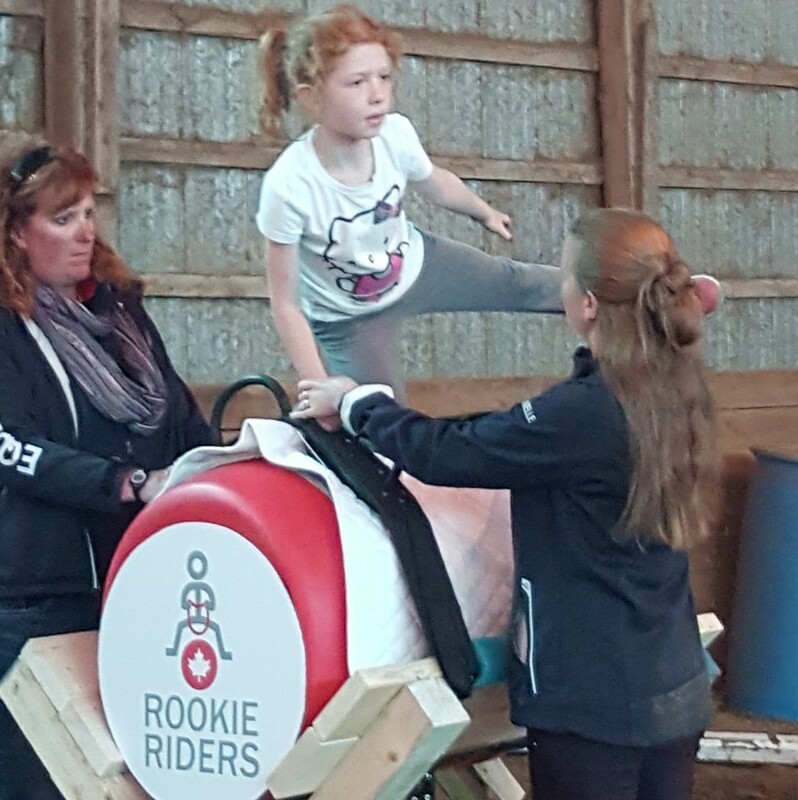 Rookie Riders is designed as the first step to start kids on the equestrian development Pathway, introducing riding skills, horses and horsemanship to children between 6 and 12 years of age. 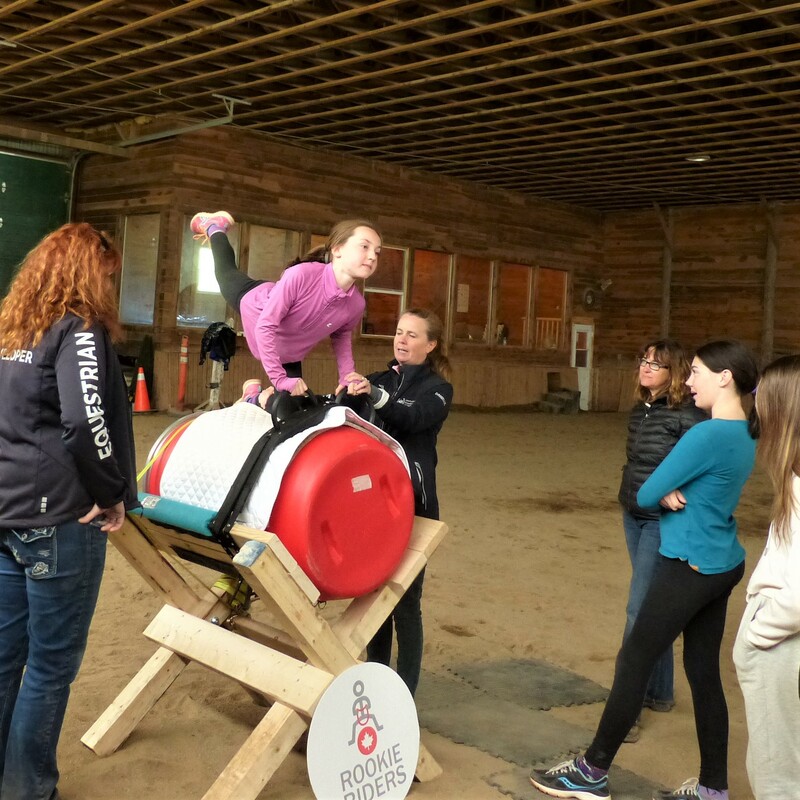 Students begin on a safe barrel “horse”, learning riding and gymnastic activities that begin the development of the skills used in equestrian sport. 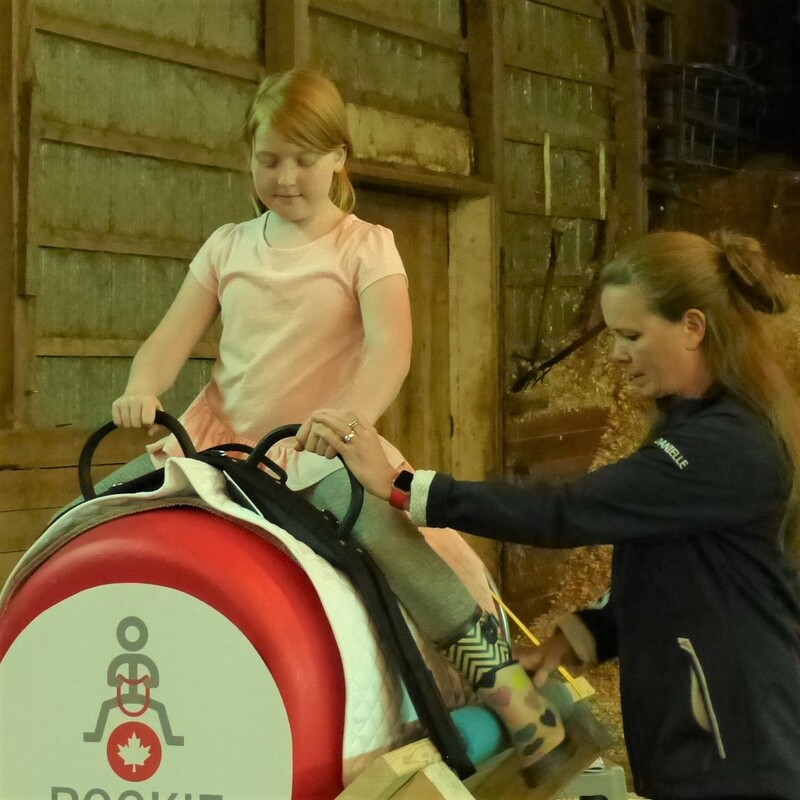 The program teaches key physical and mental horseback riding skills – balance, body control, agility, flexibility and co-ordination – off the horse. 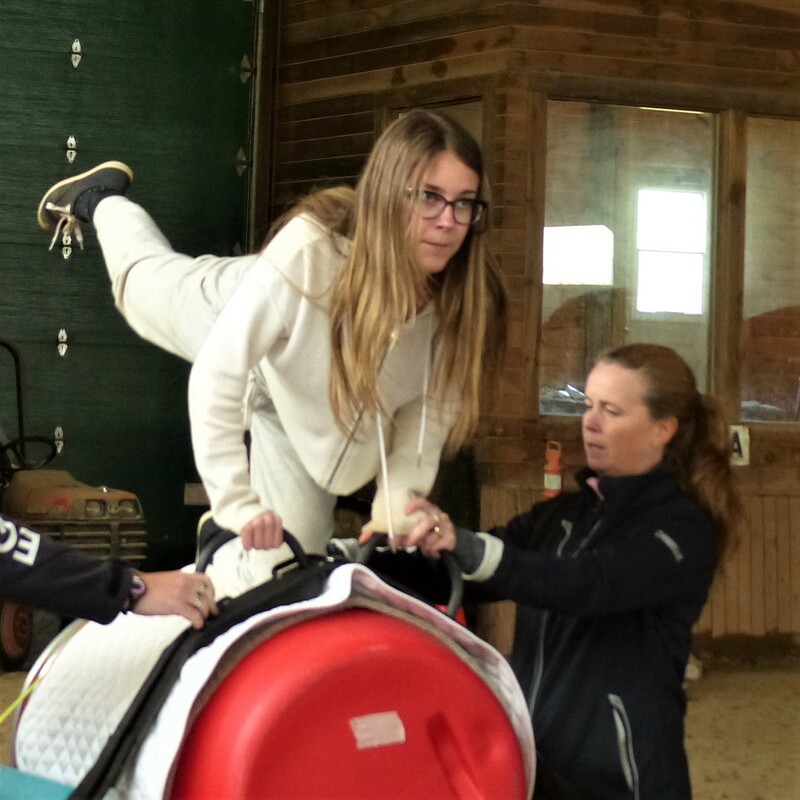 Introduction and reinforcement of movement skills that fall within the FUNdamental Stage of Long Term Equestrian and Athlete Development. 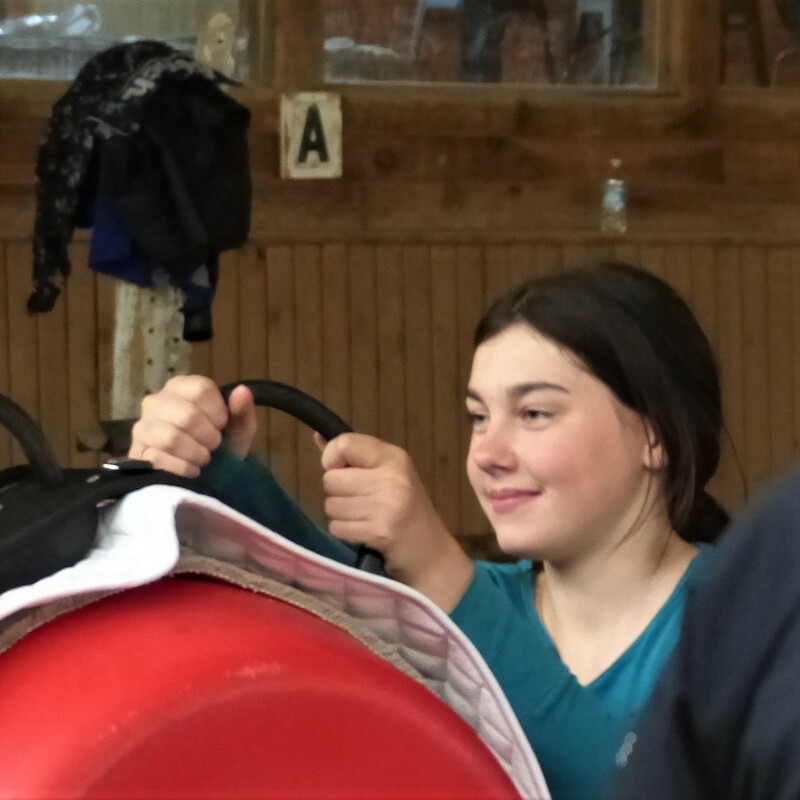 A “Ticket to Ride” that entitles the child to one free lesson on a real horse with a certified instructor/coach. 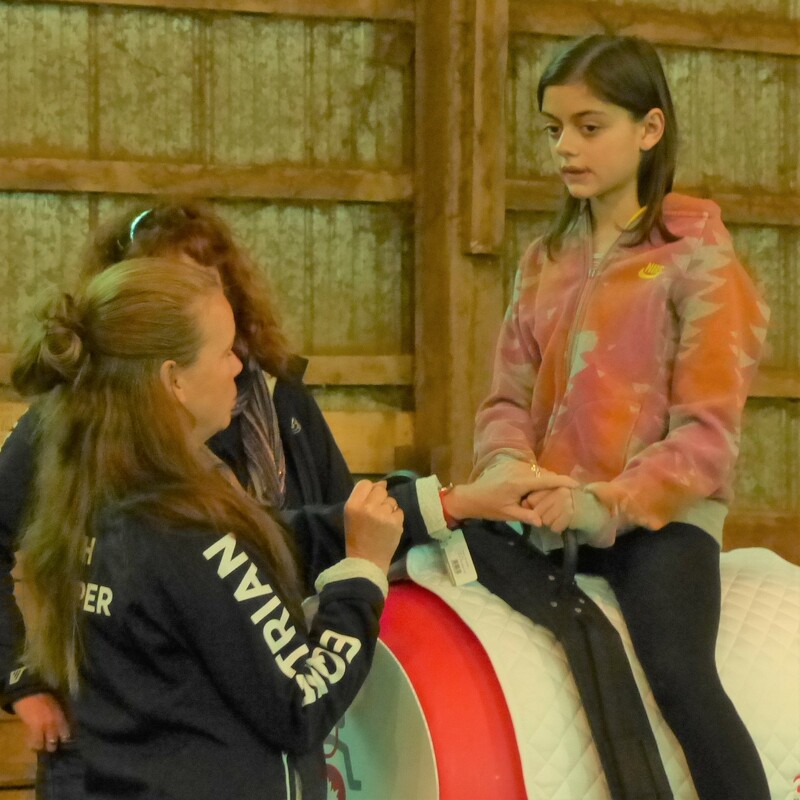 The mounted equine lesson also teaches emotional control. 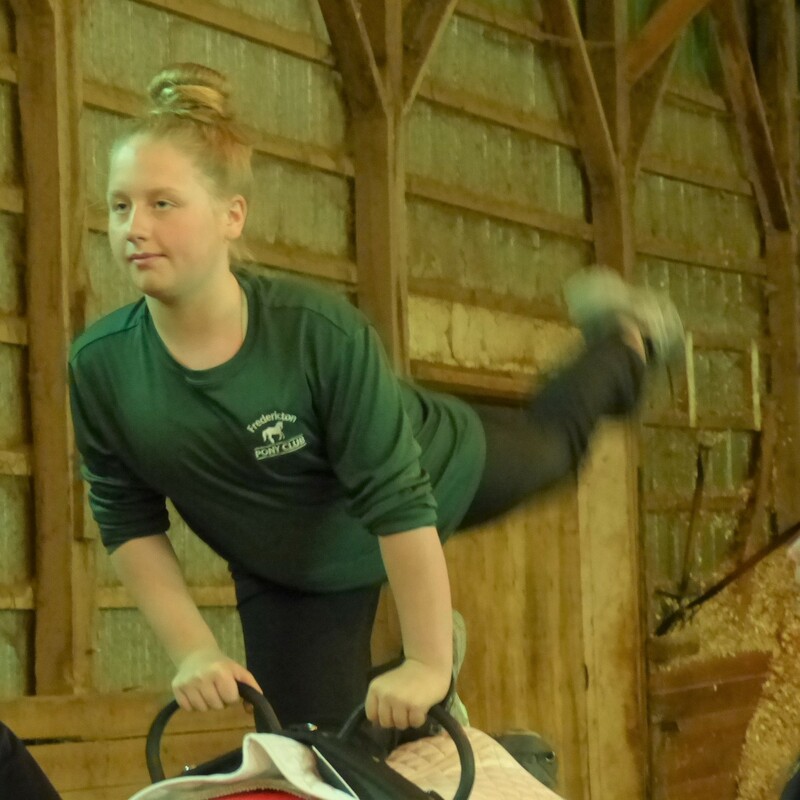 Who can teach the program? 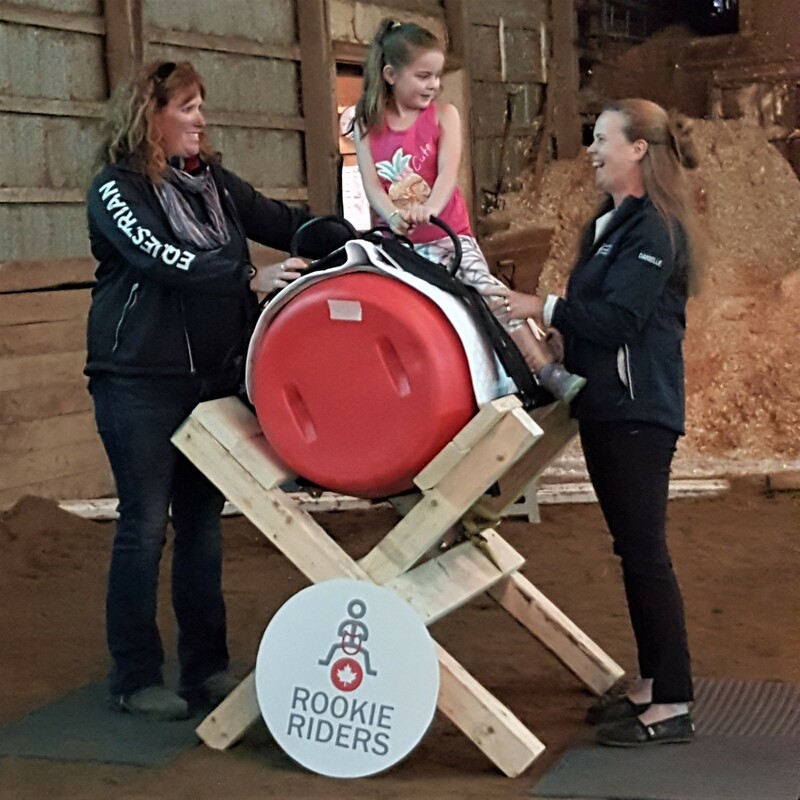 Where the Rookie Rider program is delivered in full (horsemanship, barrel and mounted segments) the Instructor must be NCCP Certified as an equestrian instructor or coach. 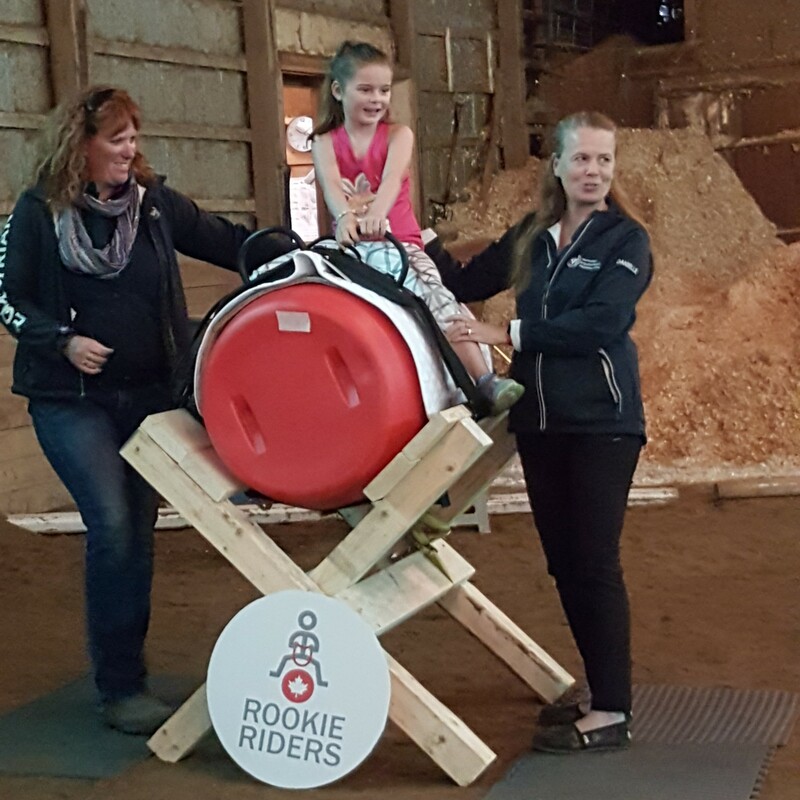 The Rookie Rider program can be taught anywhere…in a gymnasium, in a mall, at a summer camp, at a stable, in an arena, or a classroom. 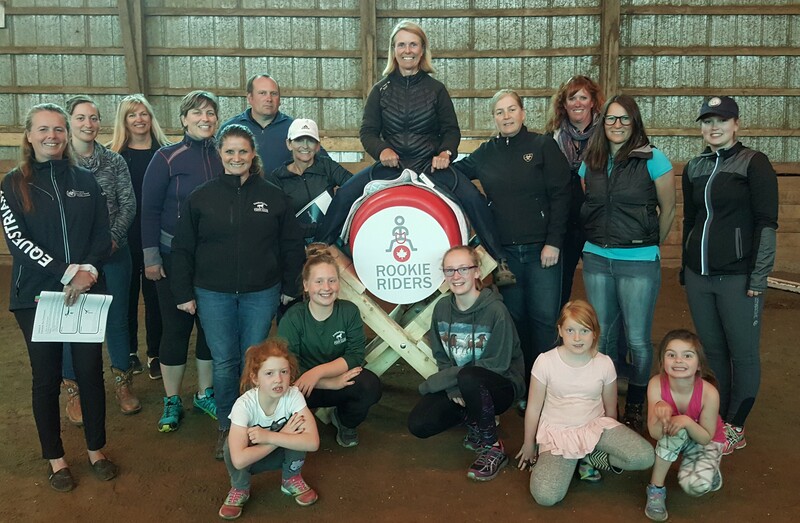 The New Brunswick Equestrian Association recently offered training for coaches to be certified to offer the Rookie Riders program. 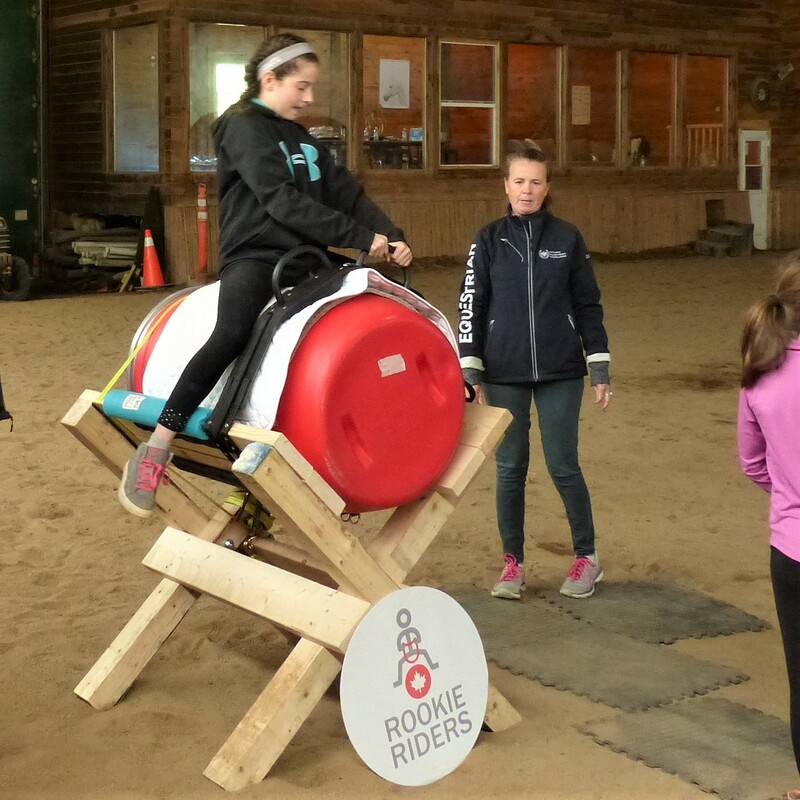 Practice teaching sessions for all participants, who learned to run the games, conduct the stable management and gymnastics components, and safely teach the skills and activities mounted on "Big Red", the barrel horse. 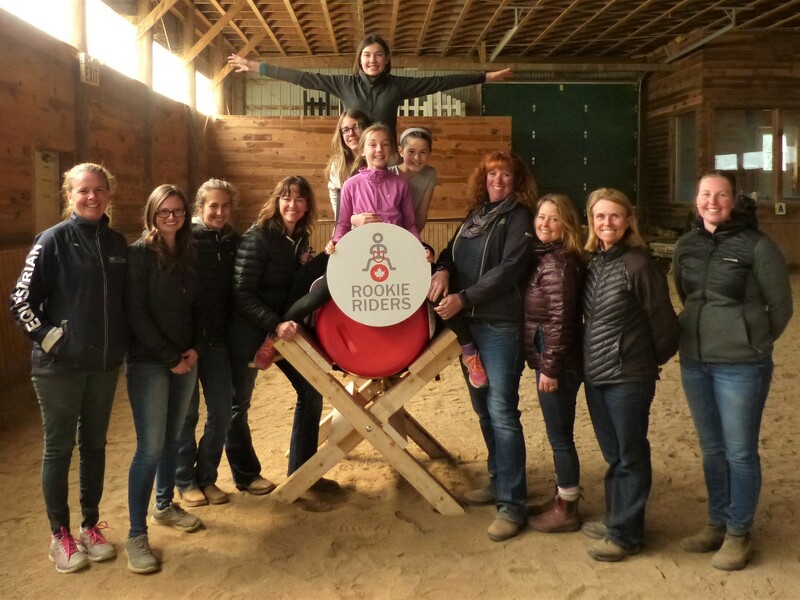 15 coaches from across the province have been trained. 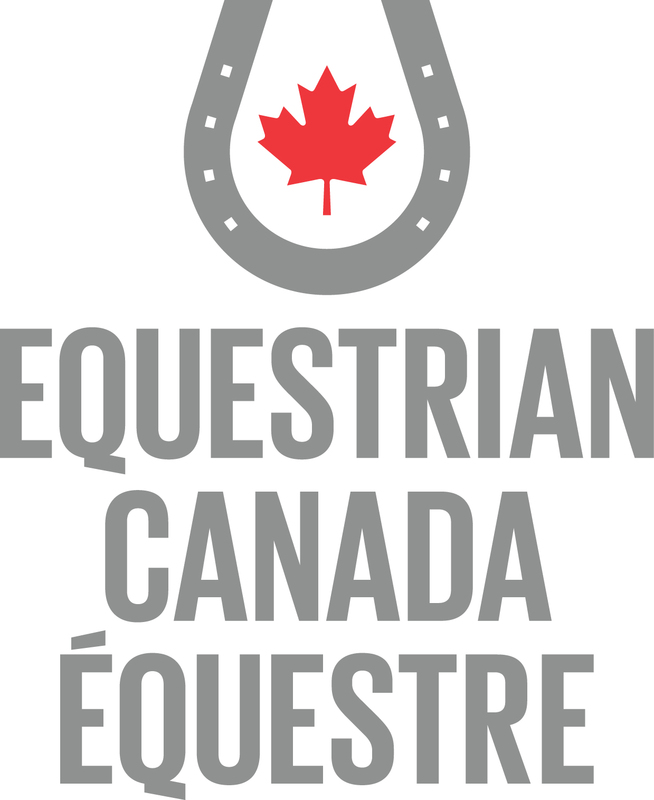 Work will commence to make connections with stables, schools, youth groups, after-school programs, summer camps, rec programs, and the like to reach out to young students and offer this wonderful physical literacy program and introduction to equestrian skills. 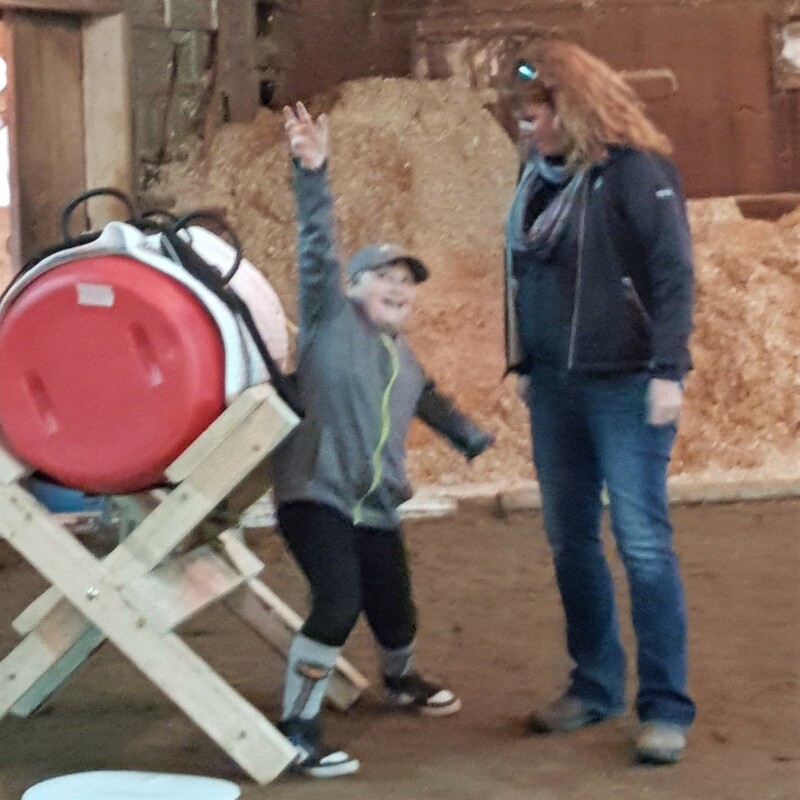 The NBEA has plans to acquire a number of the barrel "horses" for use throughout New Brunswick. 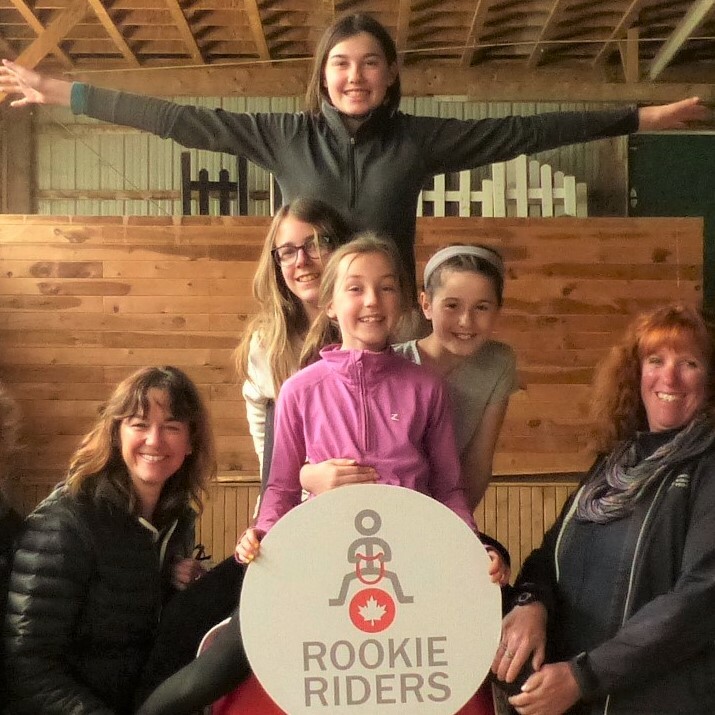 If you are interested in offering Rookie Riders through your stable or youth group, please contact [email protected] to contect with a trained coach and get started.